Everyone wants to make a good first impression, especially when it comes to dates. And this is exactly what creates more room for mistakes while trying to look perfect! You obsess over hair, make-up, outfits, shoes and so much more, while forgetting that the key is to be natural and confident. And this can only be achieved when you’re comfortable. We suggest you to absolutely avoid these 6 beauty faux pas to keep that first date from being the last. Strong smell, no matter how pleasant it may seem to you is bound to make the other person feel uneasy. After all you can’t expect your date to be comfortable if he’s having difficulty breathing! Go for your most tried and tested subtle perfume and dab it only on a few of your pulse points. DO NOT try a new fragrance right before the date! Be it plucking, tweezing, waxing or facial, every little alteration takes a little while to settle down and blend with your natural features. Not only are there chances of them going completely wrong, but the little cuts on the side of your brows or those unsettled fringes will definitely cause a distraction for all the wrong reasons. It’s okay to be nervous on your first date but trying to hide zits by caking on a lot of make-up is not a good idea! Same goes for the women who are afraid to come off as too plain. An overdose of foundation, concealer and other bases makes your skin tone look very unnaturally aged and that’s definitely not a good sight. God forbid, but if you begin to sweat, then the mess will be unimaginable. Give artsy nails some rest and keep it simple and sober for your first date. Long acrylic nails can look a little unnerving and so can bright and offbeat colours. Go for a single natural colour and PLEASE keep them short, filed and trimmed. Hairwash, check; blow dry, check; loose waves, check; hairspray, NO! 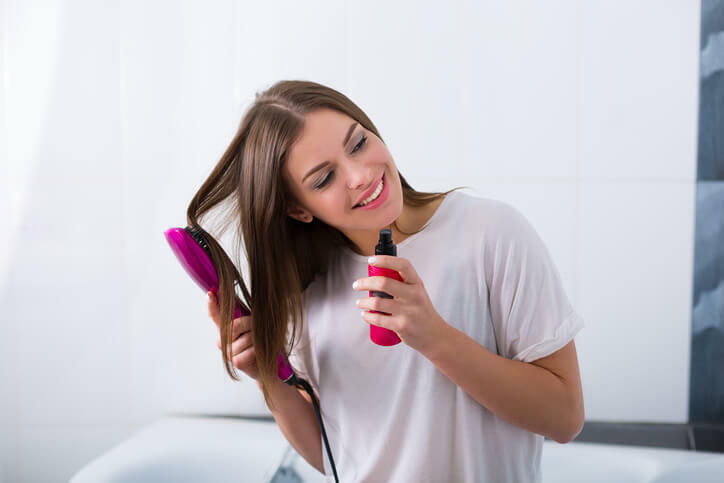 We understand you want all the hard work you put into making your hair look fabulous last longer, but using hairspray is not the way. No matter how beautiful they look from far, running fingers through spray ridden hair is not a good experience and you don’t want your man to go through that. 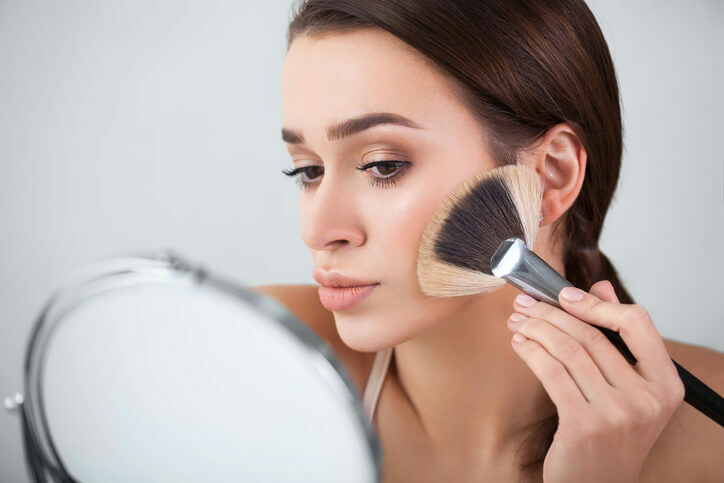 Contouring is one of the trickiest part of makeup. Do not depend on self-tanners and bronzers to chisel or add glow to your face. The unnatural tan has a tendency to rub off on your clothes, or worse. His! Opt for a natural coloured blush instead to add that wintery glow to your face and it’ll prove to be a total add on every time he makes you blush.